Aiming to develop the infrastructure, storage and technical support needed to enable safe liquefied natural gas (LNG) operations for customers in the north of the U.K. and North Sea, including bunkering, partners ExxonMobil, Babcock International Group, Bernhard Schulte Shipmanagement (BSM), Calor and Orkney Islands Council have signed an agreement to collaborate in the Caledonia LNG project. The parties signed a Memorandum of Understanding (MOU) on November 22 to investigate opportunities to supply LNG for marine and land-based applications. Liquefied natural gas is not a panacea to reducing greenhouse gas emissions and its increasing use as a marine fuel could be worse for the environment than burning heavy fuel oil. Adams, a Fellow of the Institute of Marine Engineering, Science & Technology who now heads the Association of Bulk Terminal Operators, said: “The energy content of LNG is slightly more than half that of fuel oil, so to extract the same energy output when consuming LNG rather than fuel oil it is necessary to consume almost twice the volume of LNG. Shipmanagement company, Bernhard Schulte Shipmanagement (BSM) has announced the appointment of two new Managing Directors: Neil McNeil will head BSM British Isles based in the Isle of Man, and Mingfa Liu will be his BSM China counterpart in Shanghai. 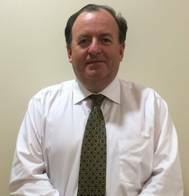 Prior to joining BSM, McNeil was Regional Fleet Manager (Americas) for BP Shipping and latterly Managing Director at V Ships USA. McNeil also spent 13 years at sea with Denholm Ship Management and BP Shipping on a variety of vessels rising to Chief Officer. UK Industry trade body Mersey Maritime has announced a new trade agreement with the Isle of Man Shipping Association (IOMSA) which aims to supercharge bilateral trade, particularly among small to medium sized businesses. The agreement was announced at a special reception during the International Festival of Business in Liverpool UK and has resulted from a series of discussions facilitated by the Isle of Man Ship Registry, which is an Executive Club member of Mersey Maritime, and other IoM based companies such as software engineer PDMS, both of which are also involved with IOMSA. Yno 309 from Ulstein Verft, the first of two Service Operation Vessels (SOV) for Bernhard Schulte Offshore, left the yard for sea trials on Tuesday, 7 June. The results so far are highly satisfactorily. “We are underway in testing for speed and manoeuvring, and have commenced the tests for dynamic positioning. The vessel is performing splendidly,” reports the sea trial captain, Børge André Berg on Friday, 10 June. 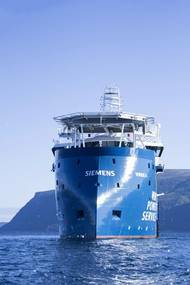 The vessel is due for delivery at the end of this month, and will be working at the Gemini offshore wind park on a charter for Siemens. Bernhard Schulte Shipmanagement (BSM), will be joining their parent company, Bernhard Schulte, to participate in this year’s 24 Peaks Challenge for Seafarers UK. The Schulte Group will be entering six teams, comprising a total of 30 participants from sea and shore-based personnel. This demanding challenge will take place on July 2-3, with teams climbing 24 peaks across the Lake District, covering a distance of 31 miles in just a 24 hour period. This is the third consecutive year that the Schulte Group is participating in the Seafarers UK 24 Peaks Challenge. SHIPPINGInsight announced the agenda and identified keynote speakers for the fifth Fleet Optimization Conference & Exhibition. The annual event will take place October 18-19, 2016, at the Stamford Marriott Hotel and Spa in Stamford, Conn. Capt. Michael Wilson, president & COO of Laurin Maritime (America), will serve as conference chairman. John D. (Jack) Noonan, COO of Chembulk Tankers, and Capt. Norbert Aschmann, CEO of Bernhard Schulte Shipmanagement, will deliver the keynote addresses on Days One and Two.